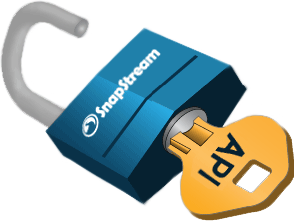 Connect any TV source (cable, satellite, antenna, IPTV or DVB-T) to SnapStream. 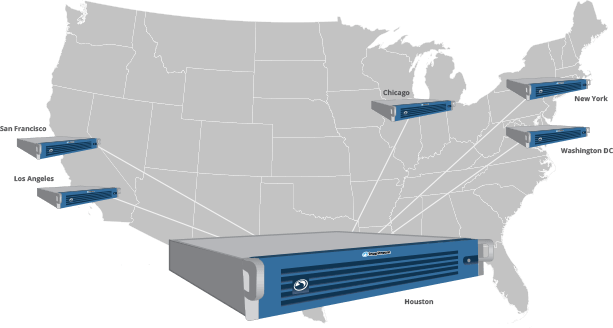 Distribute live or recorded TV throughout your organization or school using unicast or multicast. Works on any PC, Mac, Chromebook, iPad and TV. 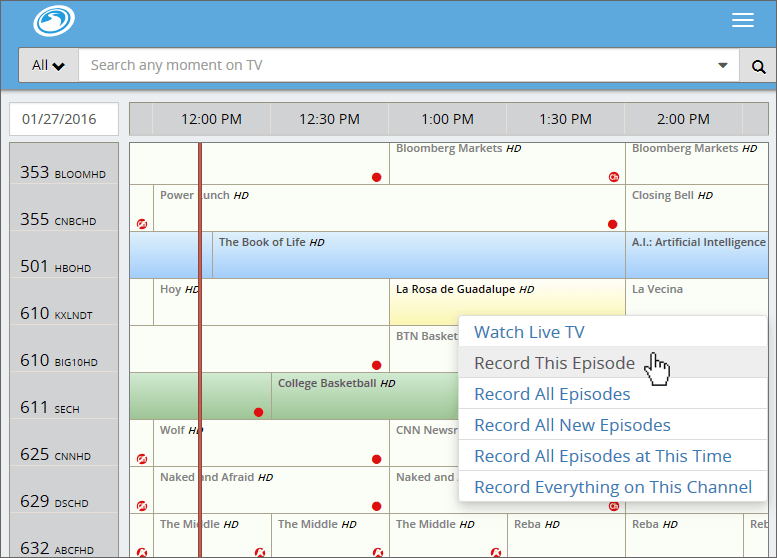 Our powerful program guide lets you easily record single episodes, all episodes or entire channels 24/7. Record up to 100 channels at once and keep it all organized in your SnapStream TV Library. Archive days or years of TV recordings. 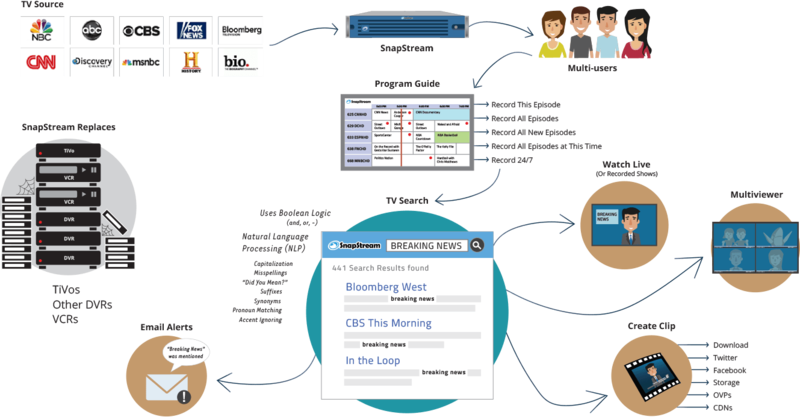 Search TV in real-time for the exact mention in the show, based on the closed captioning. Advanced language algorithms (NLP) let you instantly find a needle in a haystack. 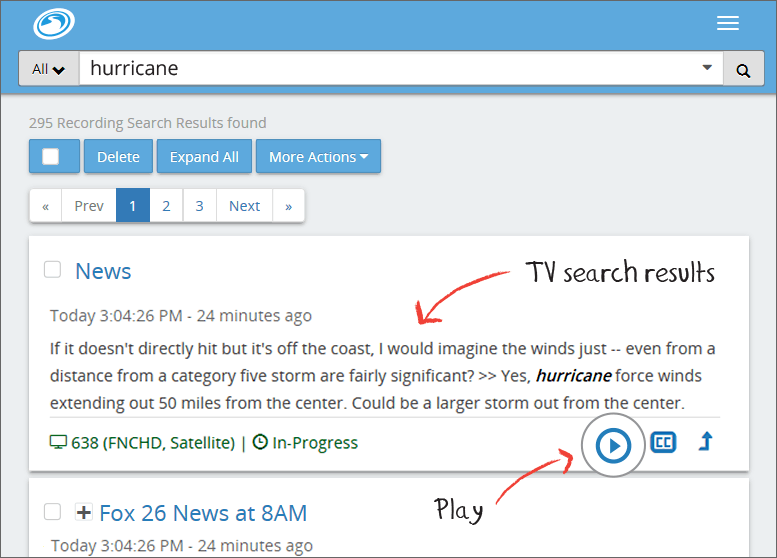 Refine TV searches by TV show name, genre, and more. Setup TV email alerts and you'll get a notification whenever your keyword was mentioned on TV. 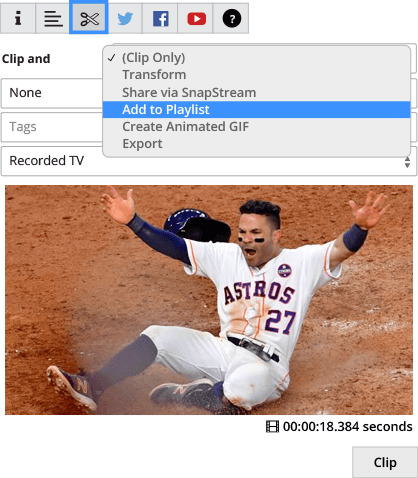 Quickly grab a TV clip from live or recorded TV. Set your start and end-points. Press the scissors to clip, give it a title and save it. Use the zoomable trackbar to mark more precise in and out points for your clips. Crop clips 16:9, 4:3, vertical (Snapchat), square (Instagram). Clip to different file formats (MP4, WMV, MOV, TS/TP). Watermark your TV clips for social posts. Share native video, screenshots and GIFs, and cross-post them to Twitter & Facebook in seconds. Live-tweet and live-GIF TV moments (sports, award shows, the debates). Review and track all your outgoing posts from SnapStream's social TV dashboard. Support for 10 min Twitter video uploads and 280 character Tweets (Twitter whitelisted accounts). 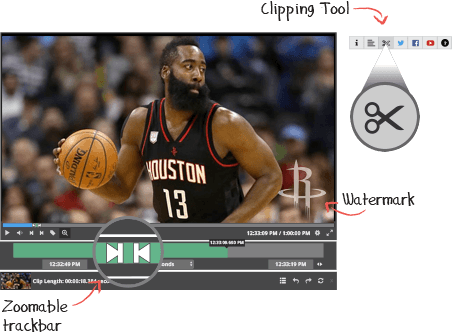 ShowSqueeze clips to H.264, WMV or XDCAM with the option to add a watermark or embed timecode. 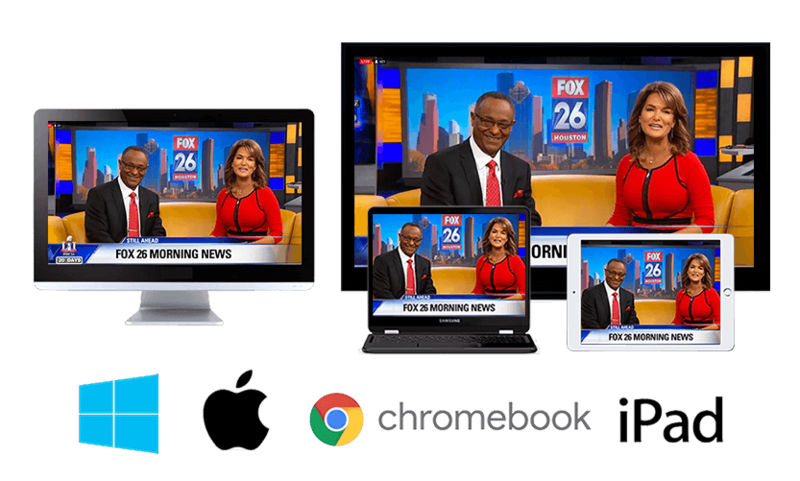 With multiple SnapStreams connected together, all of your TV content becomes accessible through a single SnapStream interface. Automatically export TV to other Federation servers via Workflow. SnapStream’s API lets developers do cool things like create custom workflows and combine SnapStream with other third-party tools.